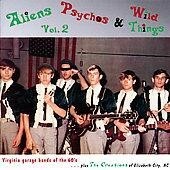 25 song set features 18 Virginia garage/psych bands from '64 to '68. Tons of liner notes - photos, etc! 6. The Swinging Machine - Do You Have To Ask? 25. Steve Peele Five - Frankie's Got It!